A variant on Iceman I guess, I was using this character as part of Soyuz. Per DC Wikia: Morozko takes his name from Morozko, the Slavic god of snow who is either a figure in the Russian Gods or the borrowed form of Iokul Frosti (modern Jack Frost) from Saxon Myth. Masquerade... a character I made a long time ago in a major fanboy moment... Her origin is not a clone, and I never explicitly decided on parents, but her name is Krystina Darkholme. She is Kurt's sister, possibly half sister, in my universe. 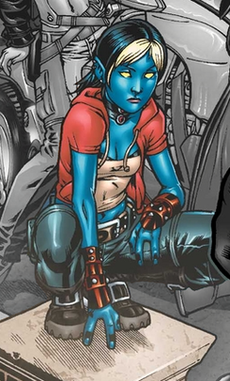 She has Nightcrawler's powers, Mystique's powers, a Healing Factor and has Adamantium claws grafted to her forearms a la Wolverine. Like I said, fanboy moment. Last edited by Bladewind on Wed Mar 01, 2017 1:41 am, edited 2 times in total. Power Loss (All Powers- Cut Hair)- Doc Samson can be rendered powerless if his long green hair were cut. Leonard Samson was born in Tulsa, Oklahoma, USA. He studied medicine, physics and took a Ph.D. in psychiatry and began working as a College Professor. Later he got connected to the US Army. His first contact with the Hulk was when he psychoanalyzed the captured Bruce Banner. During an experiment, Samson gained superhuman powers from controlled exposure to gamma-radiation being siphoned of the Hulk. He grew in size, his hair turned long and green. Soon after this he had to fight the Hulk for the first time. Around this time he learned that he loses his strength and powers cutting his hair – but he soon lost his powers due to bombardment of another dose of gamma-radiation. He was hired as a special consultant to the Gamma Base, a governmental institute dedicated to the capture and neutralization of the Hulk. Soon he regained all powers by exposure to gamma-radiation in another gamma explosion. He got connected to SHIELD and battled the Hulk again, a battle which he won. He shrunk the Hulk with a helmet that allowed him to keep Banner’s mind and projected him into Glenn Talbot’s brain in an attempt to cure him of amnesia, an attempt which succeeded. The Doc later battled the Rhino to a standstill. The Leader turned up and captured Samson and the entire gamma-base. A cured Banner arrived at the controlled base and was also captured, but was later helped by Samson to become the Hulk and together they beat the Leader. Soon the Doc psychoanalyzed Banner through his dreams and diagnosed him as a split personality. He quit Gamma-base and later on he encountered Angel and the Master Mold, Woodgod and the Changelings, teamed up with Spider-Man against the Rhino and AIM, defeated Unus, defeated Champion with the Thing and other heroes. At some time he successfully separated Hulk and Banner into two individuals. S.H.I.E.L.D. attempted to destroy this Hulk, but Samson saved him. This savage Hulk escaped and Doc battled Iron Man, Wonder Man, Hercules and Namor for the right to capture him, which he now was really dedicated to as he felt the Hulk was his responsibility because he had rescued him. He fought both the Hulk and the Hulkbusters and won. He tried to re merge the captured Hulk, but instead accidentally created the Gray Hulk. Later on he assisted the SHIELD and teamed up with X-Factor to capture the Hulk. Finally he successfully merged the Banner, the grey Hulk and the Green Hulk into one persona with the help from Ring-Master into the current new Hulk. A bit later he cured Captain Ultra of his fear of fire. Doctor Samson knows that he is superhuman and very cunning, but he sometimes underestimates normals and supers.The Doctor is usually quite peaceful and seems very humane. He is also very brave and sacrificing and really wants to help people. He has several connections which he regularly uses and his main enemies are the Hulk (Savage), the Leader and the Rhino. 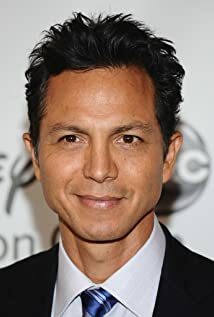 He is the psychiatrist of Doctor Robert Bruce Banner aka The Hulk and they are currently on good terms. He currently keeps on being a superhero. when made very angry he seems to sometimes lose it against opponents, regretting his actions afterwards. I will add him to my index(es). The Wraith from Stargate Atlantis, sort of/ kind of made for the Merge Universe. Wraith have plot device powers IMO, that appear and fade as the story needs. Or maybe it's that their hive mind allows them to pool their powers so the more you encounter the more powerful they are. Last edited by Bladewind on Tue Jul 25, 2017 1:35 am, edited 2 times in total. Bias - VINCent prefers the company of humans over robots as he is distrustful of most robots. This does not apply to robots that have gained his trust over time (like Old B.O.B). I originally made this for the first Merge game... but it was totally over the top in terms of comparison to the source material (Disney's The Black Hole from 1979) even accounting for upping PL to level playing fields between characters and concepts that were never meant to interact. So this version is PL 6/120 PP, 3:1 Skill Point Ratio; Free Social Advantage for Presence ranks: the normal drill. At its base, this character is a polite version of R2-D2... (you can tell, because all of R2's dialogue is bleeped out, the potty mouth.) It speaks English, and at the end of the day I think a comparison to an R2 unit is apt as it could probably take the place of one in an X-Wing. I used a lot of ideas from Jabroniville's R2 and 3PO builds, and although VINCent has a weapons array, he still whips out quite a few gadgets over the course of the movie. The official version of his name is Vital Information Necessary CENTrailized... for 1979, I think it was pretty good. I prefer to use Vital Information Network CENTralization. Still have two Presence based advantages to add, and not totally satisfied with where the skills are at. Base Toughness is a free ability that compensates for the auto calculate on my sheet for the Absent Stamina. Last edited by Bladewind on Mon May 07, 2018 1:31 pm, edited 4 times in total. Cool to see some Strikeforce Morituri guys- they were a tough bunch to do, as I only got through 5-6 issues of the comic before getting bored, so I didn't see that much of them. Hope I got them largely "correct". That said, I think I had commented at the time with my input, and you were largely accurate and faithful to the characters IMO. Still cracks me up that their mimic lasted something like 6 panels! Last edited by Bladewind on Mon May 07, 2018 1:32 pm, edited 2 times in total. Accident: Her mood can sometimes cause her weather control powers to go out of control. Phobia: Bloodstorm suffers from often crippling bouts of claustrophobia. 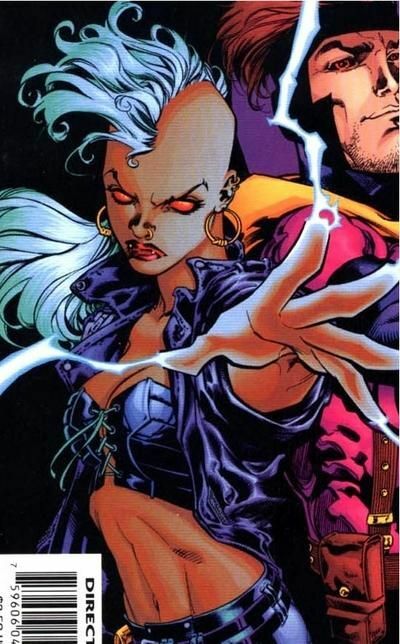 Power Loss: Bloodstorm cannot regenerate or use any of her Vampiric Powers with a stake through the heart. Although she isn't harmed by sunlight, prolonged exposure can rob her of her vampiric powers. 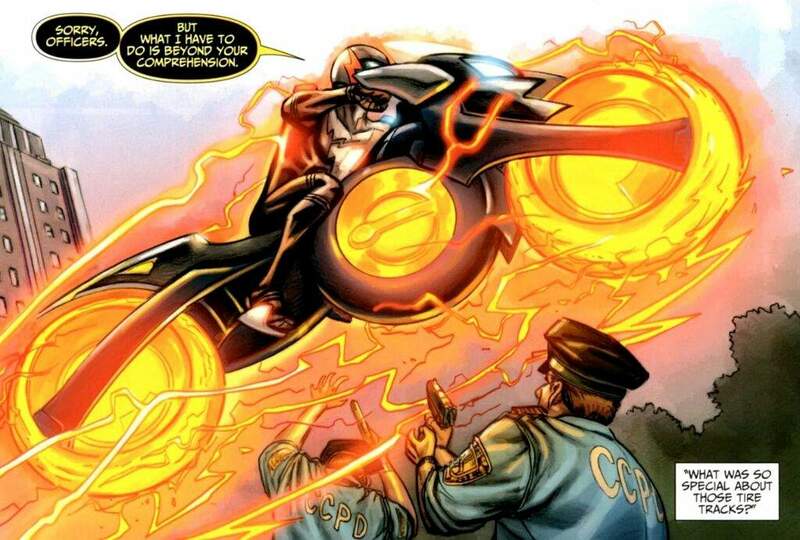 Vulnerable: Bloodstorm suffers an extra degree of failure against attacks using bright light. One part Supernatural Creature (Vampire) from the GM Kit Character Generator, and one part Thorpacalypse PL 10 Storm. Arguably waaayyyy to much in the array of powers, with her Vampiric and Mutant Powers alt of each other... Apart from cost, this was done for the simple reason that she can't possibly maintain those powers all at once. I have a few of the classic Vampire shapeshifting, I went with metamorph because of the size difference of bats and rats to people. Also, I imagine a Swarm form of those smaller vermin, which could easily be statted out as an AP in that slot for the same cost, using Summon instead of Morph. Tomayto, Tomahto. Worth noting, that this build was mostly inspired by the discussion of Vampires in the Merge: Agents and Powers OOC thread during the intia phase of character creation. This reminds me, I must get around to doing the Justice League from Earth-43, the one where they have all been turned into vampires (like in that 'Batman - The Brave and the Bold' episode). Oh great.... something else for me to want to check out. As with Superboy of that game, the PL/ PP on this one is 12/180 (11/195, 13/165), Skills 3:1, Presence Advantages as per all the Merge games. For game purposes, apart from being a device, I consider the motorcycle to essentially be armor. He does not have a complication related to suiting up because it's a motorcycle. I listed the Flight Suit as separate from the Motorcycle for ease of calculation. I am still pondering exactly what I want the escrima stick version of the motorcycle to be able to do so it has not yet been included. hey,bladewind....Here's my version of MacGuyver for you! Motivation - Doing good, living up to the legacies that she embodies"
* Repost of a build that I plan to tweak and adjust for my JLA game, I also need to repost the pic so that it actually links. 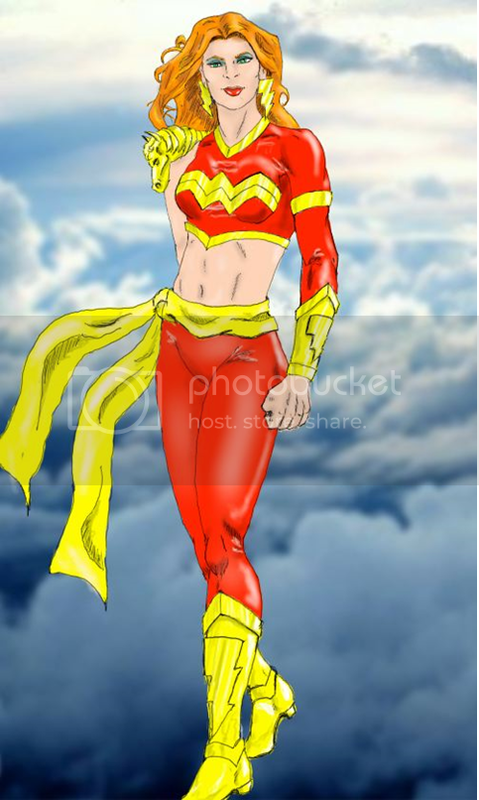 * Originally built for Bombaatu`s JLA Legacy game, Atalanta is my JLA Academy Wonder Woman Legacy. * I took the Captain Marvel build from the Hero's Handbook, scaled back some power levels and tweaked skills. * Advantages in italics are Enhanced Traits, paid for in the powers section. * I've always noticed that the "Power of Zeus" has been rarely defined. I always liked a few tricks used when Jerry Ordway was writing Shazam... at one point Billy "poses" as his father by using the magic word to become a bearded adult, and even gets a job as a dock worker. On another occasion, he alters his costume to a space suit for a trip to Venus. This is covered by the Quick Change feature (and the Super-Endurance) IMO. The bearded version (or hairstyle changes) would be a feature at best. * I really wanted the Lightning strike. Here it's more akin to the powers demonstrated in the Justice League film Crisis on Two Earths by the Marvel Analogues. * Atalanta will wear bracers in her "civilian" identity, but is not fast enough to deflect bullets without the power of SHAZAM (where the ability would be redundant). * I still envision the second "A" as being silent, giving her name the pronunciation of the city. * I put in two traits from the Strength Power Profiles, Super-Endurance and Massive Knockback. The latter is sufficient to send a 200 lb person flying 120 feet and is an Alt Power of her Power Lifting (Super-Strength). * Credit to Bombaatu from the old ATT for the picture ! * Hm, After consideration, I`ve come to realize that she only needs 3 ranks of indirect... (there`s a thread discussing it now.) This would mean can be called from anywhere, but must aim downwards. This in turn means that she can sacrifice her entire flight rank to the Lightning Strike, with only one point left in the array. The question remains though, if that`s legal in a Dynamic Array or must be paid for - it essentially means one rank of flight, limited to hovering. Wait. duh. The remaining point from the Flight Power is a linked Flight at Rank 1, limited to Hovering! Problem solved ! Mostly the above build with some traits brought down for sanity's sake. Some years ago, there was a once fanatical group that lived on the isle of Dianata. They modelled themselves on the Amazons and the religion of Ancient Greece and exemplified the Amazons above all else. Eventually, they realized that they could not continue to provide for their children in a safe environment given the political climate and constant scrutiny that they were being subject to. Although none of it was true by this time, the Dianatians were often accused of following many of the rituals and practices of the Ancient Greeks - true and otherwise - that are frowned upon by a modern society. Atalanta, a 16 year old girl with a gift for athletics (much like her namesake) and a wisdom beyond her years yearned to compete in the competition to choose the next Wonder Woman. Denied because of her age, she visited the temple of Athena for guidance, much like Diana herself once did when she had been denied entry into the very same contest. Athena herself did not appear, instead a powerful sorceress bade Atalanta to speak the word Shazam. Transformed into an adult, she joined the competition. Diana, for her part, saw more than a passing resemblance to a fallen Amazon who was much revered for her sacrifice in the protection of the long destroyed Doom`s Doorway, especially with the Amazonian Armour that she wore. Atalanta hesitated, looked to the dais where her queen waited, and spoke. Last edited by Bladewind on Wed Sep 12, 2018 3:23 am, edited 3 times in total. Disability: Pangborn is paraplegic. If ever cut off from the source of his power, he is effectively crippled. Enemy: Mordru. Mordru believes that he took Pangborn's power and left him crippled. Motivation: Compassion. Having been on the crappy end of the stick, Pangborn is willing to help others, sometimes to his detriment. Presence Skill bonus went to Deception, Dexterity Skill bonus went to sleight of hand. Jonathan Pangborn was rendered paraplegic following an accident at a factory that he had worked at and consulted Stephen Strange, only to be told that his injury was inoperable. Pangborn took physical therapy and eventually made his way to Kamar-Taj in Kathmandu, Nepal, where he was taught to use magic by the Ancient One. He later left Kamar-Taj as he had wanted nothing more than to use his abilities to walk again. Except, that's not entirely true. Pangborn began to use his abilities in secret to help others. He protected his neighborhood from incursions from the dark realms in the stereotypical "what they don't know doesn't hurt them" way. His front of fear of being a sorcerer and using his powers only to heal himself was nothing more than that... a front. Some months after his return to America, he was confronted by Karl Mordo. He attempted to maintain the ruse that he used his power only to walk, and attacked Mordo with a crowbar but was defeated. He used his power to feign helplessness and Mordo left, believing that he had stripped Pangborn of his power. My original version, just in case I want if for something. Motivation: Compassion. Having been on the crappy end of the stick, Pangborn is willing to help others, sometimes to his detriment." Last edited by Bladewind on Wed Dec 27, 2017 6:27 pm, edited 3 times in total.